450,00 EUR 19 % VAT incl. 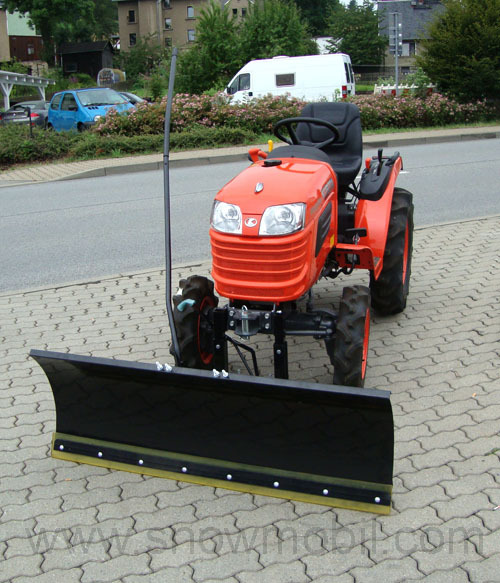 The rubber strake for the snow plow made of Vulkolan is included. Pivoting the snow plow by means of plug bolts. 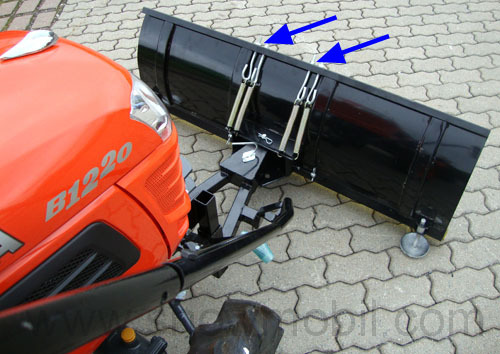 The lifting of the snow plow is done manually by a hand lever. 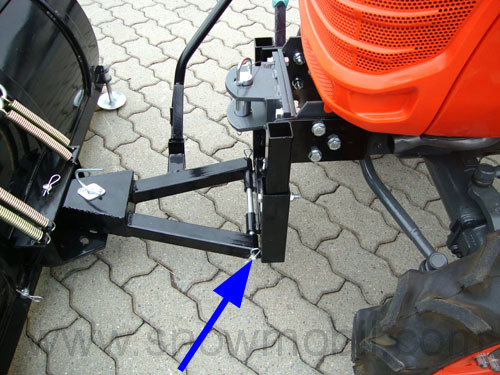 The mounting frame is steplessly shiftable and thus can be retrofitted to any tractor frame. 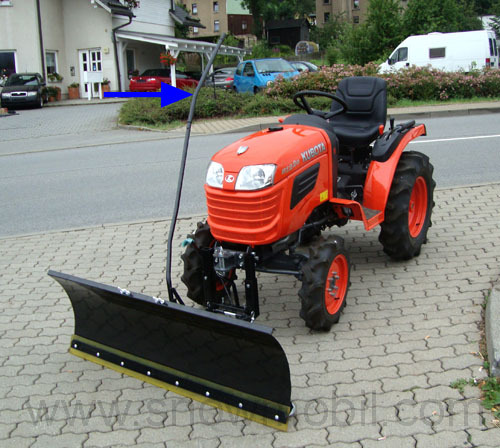 Manual operator to pivot the snow shield. 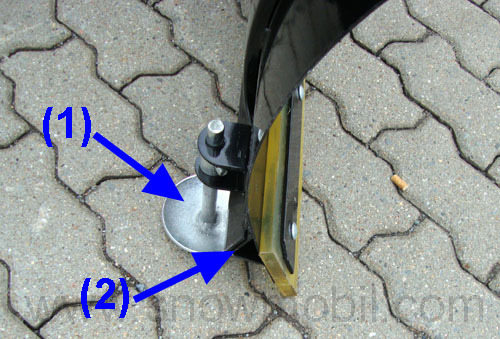 Here you can see the locking pin to disconnect the snow shield. 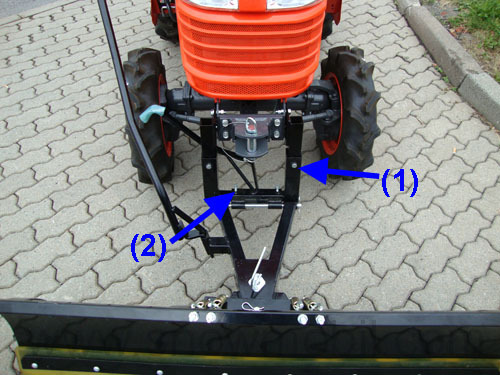 The mounting frame is movable in height (1) and width (2) . 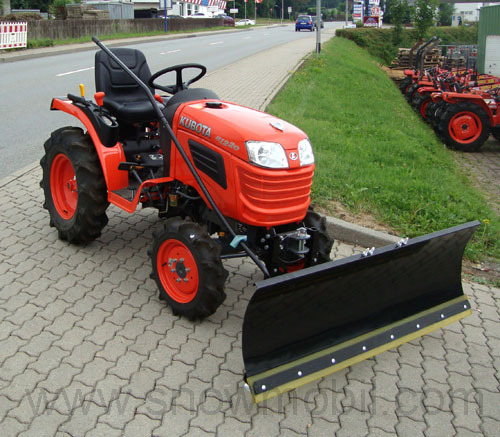 Thus, the snow plow can be used with any size of tractor tires. Four springs keep the snow plow blade. If you drive into an obstacle, the shield folds away forward. 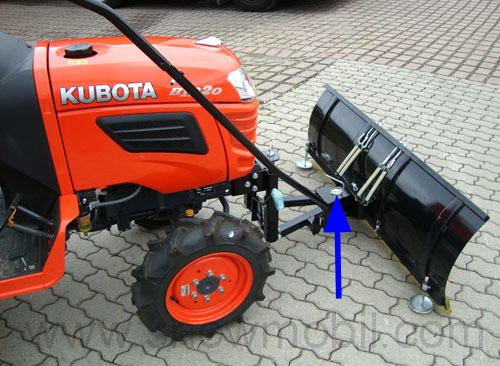 The snow plow is specially equipped with 4 springs so it can be adjusted a bit harder and not folds away too fast as with 2 springs. 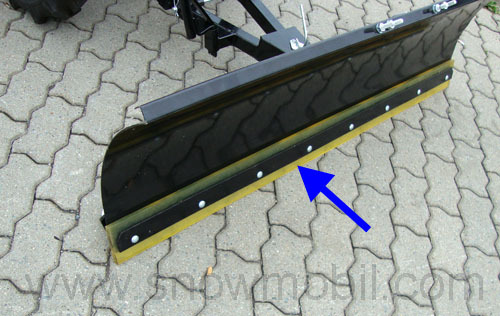 Through the threaded bolts on the springs you can adjust the tilt function infinitely variable. (2) in addition to reinforcing angle iron welded on! Vulkollan strip is 118 cm wide and 10 mm thick. ⇒ Typing errors, misapprehensions and changes excepted.